Dusty Starr arrested for several crimes after an alert citizen saw her stealing mail. At 4:14 PM on January 3, 2019, a citizen called Police Dispatch when they saw someone stealing mail from mailboxes in the area of W 36th Avenue and Oregon Drive. 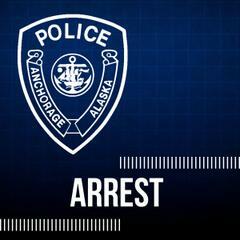 Police responded and located a woman, later identified as 40-year-old Dusty D. Starr, at Spenard Road and Taft Street. Starr was wearing several sweatshirts with the store tags still on them. She had multiple pieces of mail, which belonged to other people, and two purses in her possession. A search of Starr’s bags revealed checks that had been forged and made payable to Starr. Starr was charged with five counts of Theft IV, three counts of Theft II, and three counts of Forgery III. Starr was transported to the Anchorage Jail where she was remanded with no bail. If you see something - say something. APD is grateful to the alert citizen who witnessed Starr's criminal behavior and immediately called police with an accurate suspect description. The actions of this citizen very likely saved several more people from becoming fraud victims.